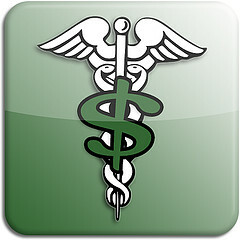 The relationship between health care and money is the crux of some of the biggest policy debates of our time. Still, while much is debated, there are also many principles that most Americans agree should hold true. One such maxim – Medical decisions should be based on the best interests of patients, not providers own financial well-being. This precept is reflected in several laws including the Anti-Kickback Statute and the Stark Act and enforcing these rules is one of the goals of our work as a whistleblowers’ law firm for health care fraud issues. Just last week, the Justice Department (“DOJ”) announced a major settlement in a health care fraud case involving allegations of improper financial relationships between health care providers and their referral sources. The lawsuit claimed that Adventist Health Systems, a healthcare organization with facilities in 10 states, billed for the services of employed providers who were paid bonuses that, contrary to law, were based on a formula that considered the value of the referrals to the hospital system. More specifically, the suit alleged that doctors received monetary bonuses tied to the number of tests and procedures they ordered. Adventist agreed to pay $115 million to settle these and other fraud allegations, but did not admit to any wrongdoing. These basic principles form the basis of multiple federal and state laws. Violations of these underlying laws can give rise to violations of the False Claims Act. In a guide aimed at educating new doctors, HHS discusses some of the major federal health care fraud laws including the Anti-Kickback Statute (“AKS”) and the Physician Self-Referral Law (known as “the Stark Act”). As the guide explains, AKS makes it a crime to give anything of value to encourage or reward the referral of patients or other business involving services covered by federal health programs. Importantly, while often summarized as making it illegal to pay for referrals, AKS goes beyond just giving cash and could include providing fancy meals or free services. AKS applies to both the referring party and the recipient and, as HHS explains, the issue of intent is key to liability. Stark prohibits medical providers from referring patients to have certain specified Medicare- or Medicaid-covered services performed by an entity in which the provider or an immediate family member has a financial stake. There are specific exceptions, but unless one applies Stark would prohibit a doctor referring patients to have x-rays performed at an imaging center that the provider has invested in or from which she receives compensation. It would also prohibit the center from billing for such services. Importantly, Stark is strict liability and a violation can exist regardless of intent. Health care fraud is a financial crime. It is also much more. Health care fraud endangers patients by putting money above the patient’s best interest. In all areas of health care fraud, including violations of the rules on referrals and compensation, whistleblowers are key to identifying fraud and fighting back. Private individuals can bring claims on the government’s behalf and they are entitled to a significant reward if their information lead to a financial recovery. If you are aware of Medicare/Medicaid fraud, you can make a difference. Your information can help us recover wrongfully diverted money and can also help ensure our health care system focuses on the best interests of the patient. Call our health care fraud attorney’s whistleblower hotline at (800) 427-7020 to learn more.